Join us for a lunch around the world! Where else can you try Italian veggie pasta salad, Greek falafel, Southern fries, and Irish bread pudding all in one meal? Tuesday, July 29, 2014, 11:30 a.m. to 1:30 p.m. Samples from their new menu! 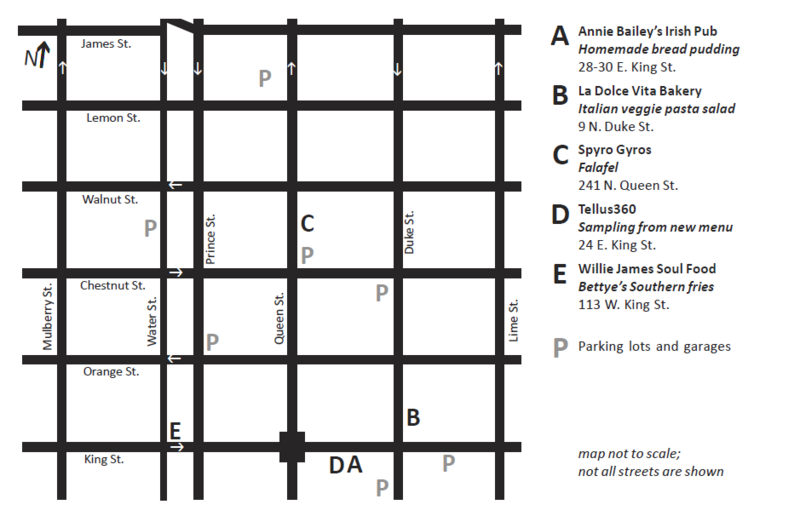 Here is a map of the participating restaurants. You will receive a map in your Taste the World passport, so you do not need to print out this one.